 PML is a not-for-profit healthcare provider delivering NHS primary healthcare contracts in Oxfordshire and Northamptonshire. We are run by local GPs for local patients, and we have over 10 years of success in delivering high quality NHS primary care services. We believe that local care providers, who know and understand the health needs of their own patients, and who are used to working collaboratively in their region, can provide the best quality and most cost-effective integrated primary care services. We work to develop services we know people want and need so that patients get the best care options for their circumstances. Our services take account of patients needs and experiences to ensure that patients, their carers, relatives and staff are active parties in decision-making. members of our staff are in direct contact with patients and their families and are expected t conduct themselves with courtesy, professionalism, integrity, openness and respect. PML is registered with the Care Quality Commission. Read our latest Infection Control Statement here. PML opened Banbury Health Centre in 2009 as a new GP service and community healthcare facility sponsored by NHS commissioners in Oxfordshire. The Health Centre offers the full range of services expected from a GP practice and is staffed by high quality professional medical staff. Over 90% of patients would recommend Banbury Health Centre services (PML patient feedback 2017-18). PML provides rapid community assessment and intervention to people in their homes to avoid hospital admissions and facilitate discharge from hospital. Hospital at Home teams work closely with hospitals and GP practices to facilitate early discharges by supporting patients and continuing treatments initiated in hospital after they have returned to their own homes. The service is available to patients in the north and north east of Oxfordshire every day between 8:00am and 10:00pm. Rapid community assessment and intervention in the patient’s home environment to avoid acute admission where safe and appropriate to do so. Clinical intervention to facilitate and enable timely discharge from acute admission. Holistic care that promotes and supports individuals in maintaining their independence. Integrated operational delivery across the sub-acute urgent care pathway to ensure high quality, safe care that minimises patient delays. Patients experiencing difficulty coping at home due to various illnesses. Exacerbations of chronic diseases (including COPD, heart failure, diabetes, dementia). Sudden onset medical illness in frail elderly. Acute infections e.g. cellulitis or respiratory infection. Patients requiring support at the end of their life. Administration of intravenous medications including furosemide and antibiotics. PML provides proactive assessment and support to people with long-term conditions and their carers, promoting independence at home and preventing unplanned admission to hospital. The Collaborative Care Team (CCT) is available to patients registered with 10 GP practices in South Northants. It comprises a Nurse clinician, Assistant practitioner and Occupational Therapist and operates Monday to Friday between 8:30am and 5:00pm. The collaborative care teams are tasked with assessing patients predominantly with long-term conditions and complex medical needs, helping and supporting them to manage their condition and prevent unplanned hospital admissions. This support includes education, referring to other agencies and supporting carers looking after these patients. Reduce Non Elective Admissions and A&E attendances. Reduction in Length of Stay in hospital beds. Increase the number of personalised care plans. Increase in the number of frailty assessments. Increase the number of patients actively managed by the collaborative care team. PML provides counselling services in partnership with Oxfordshire Health NHS Foundation Trust and Oxfordshire Mind. The partnership venture is called TalkingSpace Plus and was commissioned by the NHS (Oxfordshire Clinical Commissioning Group) in 2016 as a five year contract to provide wellbeing and psychological services for common mental health difficulties. As part of TalkingSpace Plus, PML counsellors work with people who are struggling with mental health issues such as depression and who may be affected by life issues and anxiety related problems. Counsellors work to help reduce risk and support people to develop ways of coping and ways of understanding their situation at a difficult time in their lives. There will often be goals to aim for, such as a return to work, or improved personal relationships, or to start to enjoy life more. This contract will provide wellbeing and psychological services for common mental health difficulties for the next five years. The new service delivered by the three providers is called TalkingSpace Plus. TalkingSpace Plus is easy to access and can offer help to people with a range of common mental health problems. The service is confidential and is available to adults aged 18 and over who are registered with an Oxfordshire GP. Find out more about TalkingSpace Plus here. Data sharing: TalkingSpace Plus partners (Oxford Health NHS Foundation Trust, Oxfordshire Mind and Principal Medical Limited) share information to help them provide the best possible health care and support to patients using TalkingSpace Plus services. All personal information is kept securely and follows strict confidentiality procedures. Find out more about your health record here. Neighbourhood Access Hubs provide same-day (and pre-bookable evening and weekend) appointments for patients as an alternative to an appointment at their own GP practice. The aim is to provide access for same-day needs while relieving GPs of the pressure of providing mainly reactive care for minor illnesses. This helps GP practices meet the increasing demand for appointments and enables them to have more time for planned care. A Neighbourhood Access Hub is not a ‘Walk-in Centre’ – patients are referred by their own GP practice for an appointment following triage. It is not possible to make an appointment with the Hub directly. Neighbourhood Access Hubs are based in four of the PML Federation localities. In North Oxfordshire the Neighbourhood Access Hub operates from Banbury Health Centre on weekdays, Monday to Friday from 9:00am to 6.30pm, and on Saturday and Sunday mornings. On weekday evenings from 6:30pm to 8:00pm, the service operates from GP practices across the north locality. In North East Oxfordshire the Bicester Hub operates from Bicester Health Centre on weekdays, Monday to Friday from 9:00am to 6.30pm, and on Saturday mornings. On weekday evenings from 6:30pm to 8:00pm, the Hub in Bicester operates from GP practices in the town. The Hub in Kidlington operates from Key Medical Practice and Gosford Hill Medical Centre on weekdays, Monday to Friday from 9:00am to 6.30pm. On weekday evenings from 6:30pm to 8:00pm, it also operates from Islip. In West Oxfordshire the Hub in Witney operates from Windrush Health Centre on weekdays, Monday to Friday from 9:00am to 6.30pm, and on Saturday mornings. On weekday evenings from 6:30pm to 8:00pm, the Hub in Witney operates from GP practices across West Oxfordshire. On Sunday mornings, the Neighbourhood Access Hub at Banbury Health Centre takes referrals from all PML Federation GP practices. Evening and weekend appointments are pre-bookable through GP practices. The Primary Care Visiting Service is made up of a team of emergency care clinicians working closely with GP practices and other community health and social care services. The team provide home visits to patients on behalf of their GP. This service was initially provided in North Oxfordshire and was rolled out across the PML Federation localities in Oxfordshire during 2016. The aim is to identify the need for early support before a patient’s condition deteriorates and they need to be admitted to hospital. PML is an approved provider of Community Primary Care Services commissioned by Oxfordshire and Northamptonshire County Councils. Services are sub-contracted to the general practices where a patient is registered. PML is contracted by Oxfordshire County Council to deliver public health contracts comprising Long Acting Reversible Contraception services, NHS Health Checks and Opiate Substitution Therapy. These services are provided through a sub contractual relationship with participating GP Practices comprising the Federations within the North and North East of Oxfordshire. In Northamptonshire PML is contracted to provide the NHS Health Check Programme. All personal health records are held by the GP practice a patient is registered with and it is only ever accessed by authorised clinical staff. Authorised clinicians treating patients as part of PML’s healthcare services may have computer access to the patient’s health record when they are referred by their GP. This means that clinicians can see important information about any relevant medical conditions and prescribed medication that could affect treatment decisions. These clinicians are also able to update the health record following an appointment, just as it would be if a patient was visiting their own GP practice. All clinicians accessing health records use the same computer systems as GP practices, with the same levels of security and confidentiality. Patients are reminded that their data is shared when they are referred by their own GP practice and, if they have concerns about data sharing and do not want their personal health record shared, these patients can be offered an appointment with a clinician at their own GP practice instead. You can find out more about data sharing here. We welcome comments, complaints and compliments and look upon them as an opportunity to learn, adapt, improve and provide better services. We support the concept that most complaints, if dealt with early, openly and honestly can be sorted out at a local level and we do our best to ensure that the complaints process works as smoothly as possible. If you have a concern about your care or treatment, or about any of our services, please talk to the member of staff who is with you at the time. They will be as helpful as possible and will try to resolve your concerns. If this is not possible, please contact your GP practice. If you would like to make a complaint, please do so as quickly as possible, preferably in writing. Most issues can be resolved quickly but some do take a little longer for an investigation to be carried out and if this is the case, we will let you know if we think there might be a delay. Please provide us with your contact details so that we can telephone you if we think a conversation would help the process along. When we have concluded our investigations, we will write to you formally and let you know if we have put in place any actions or improvements as a result of your complaint. We also like to hear from you when we do things well, so that we can pass your accolades on to the staff who have helped you. More information can be found on the Ombudsman’s website here.